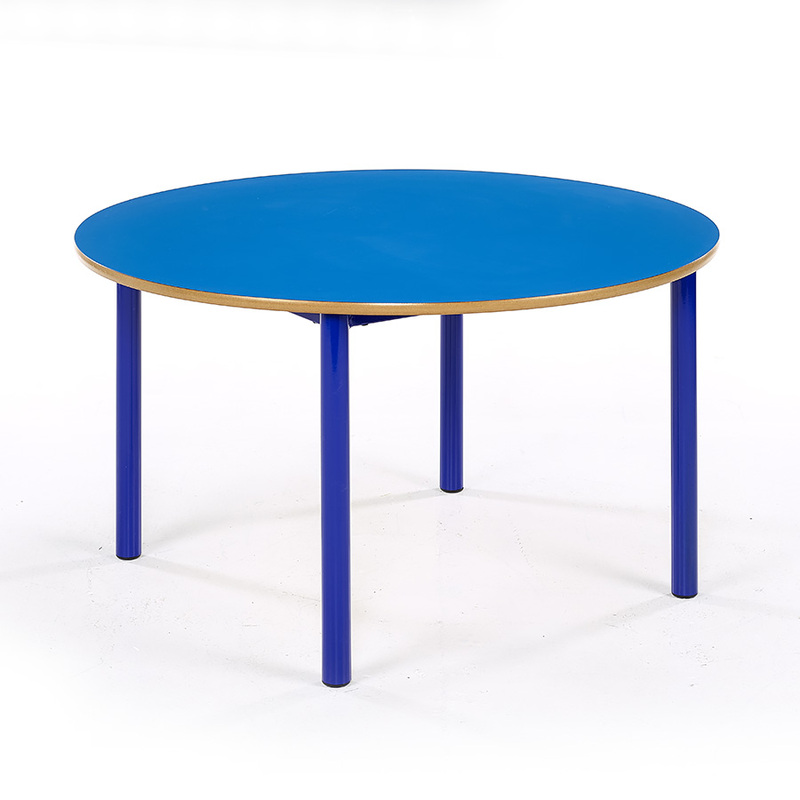 Part of our Premium Nursery tables range, this circular table is supplied in packs of 2 and is suitable for use within schools, pre-schools and nurseries. 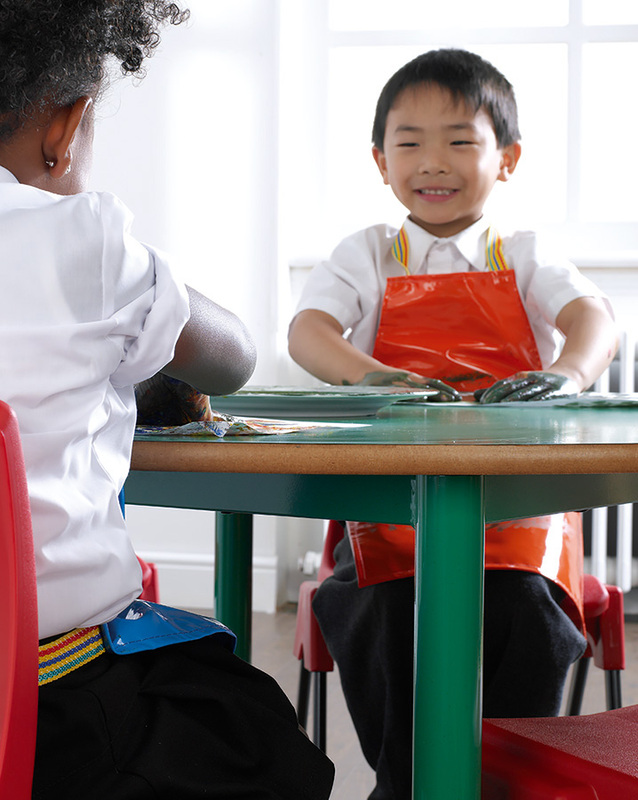 Tables are available in 3 heights which are suitable for ages 3-8 years. 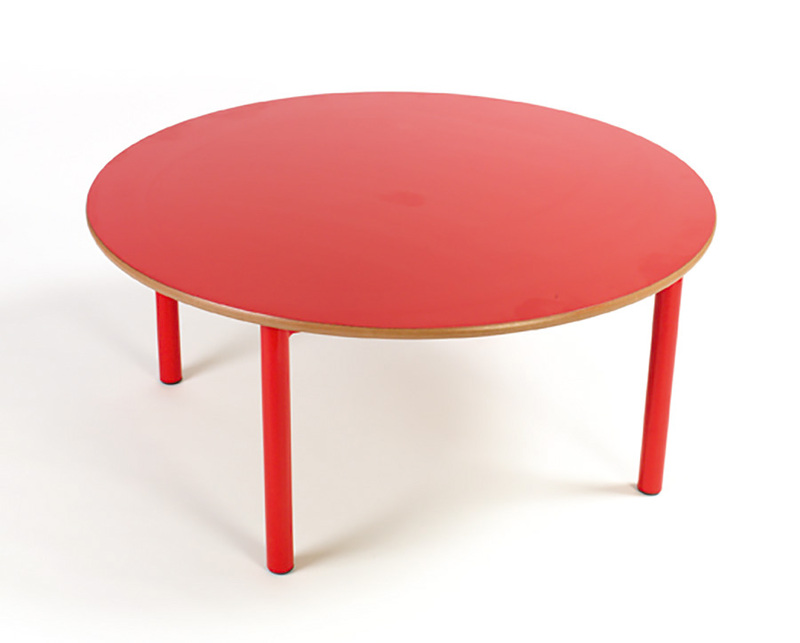 The table top is available in 7 vibrant colour options with colour co-ordinated frames. Each circular premium nursery table is manufactured to the highest quality with a fully welded 45mm steel frame and an 18mm hard wearing laminate table top with polished and lacquered MDF edge. All premium nursery tables come in sets of two and have a 10 year guarantee. Other premium nursery tables include Rectangular and Trapezoidal tables. PLEASE NOTE: These classroom tables are sold in packs of 2 only. Therefore, adding a quantity of 1 into your basket will order a pack of 2 tables, quantity of 2 is 4 tables etc. For more information please Contact Us or call us on 01733 511121.